>> Marvelash Review: Does It Work? Looking for an in-depth Marvelash review before you spend your money – as well as weeks of precious lash growing time – on the growth serum? Good on you. While Marvelash’s name makes it sound like a marvelous product, there are some considerations you should make before trying this lash serum. If you’ve heard of this product, you can see why it may be appealing. Its list of natural ingredients sounds great on paper, sure, but in practice those ingredients may prove ineffective and even irritating. Still, there are some potential positives to Marvelash, so read on for more details! 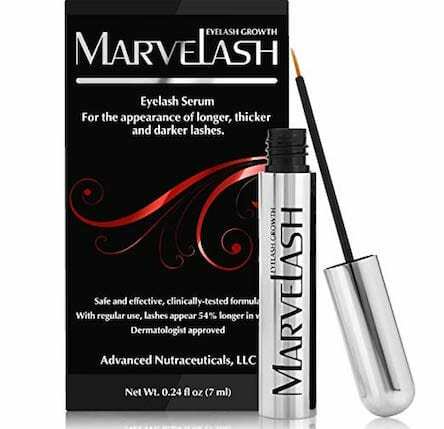 Marvelash claims to be a triple threat, improving your lashes’ length, strength, and volume. It almost seems contradictory to us, then, that it also says it provides a “healthy, natural look.” There’s a difference between eyelashes with a dark, dramatic pop and lashes that are subtle and natural, but maybe Marvelash is trying to cover its bases. The product cites panelists and clinical studies, using 100% in reference to different things. Marvelash says 100% of panelists saw fuller and darker lashes in four weeks. That same 100% also experienced no irritation or discoloration. Those would be impressive positives if they are true, but they are some high standards to live up to. To top it off, Marvelash markets itself as a multitasker, saying it can be applied to brows that need a thickening boost in addition to lashes. You know what they say about things sounding too good to be true, though. Let’s see how the pros and cons stack up. The thin brush is great for precision application. If it doesn’t help your lashes, it may still help your brows. The lightweight formula doesn’t feel sticky, meaning you can put it on and forget about it. With regular use over a month, you may see some difference in the thickness of your lashes. Works as a conditioner to leave lashes soft. May burn or irritate sensitive eyes. The natural ingredients (especially pumpkin seed and pomegranate extract) can cause allergic reactions. Doesn’t darken lashes as it claims to. Only lengthens lashes in rare cases. 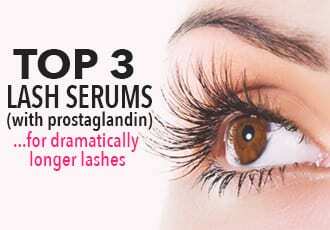 Does not work to prevent lash loss. Doesn’t live up to the 100% promises it makes. Not a lot of product for the price (even if you only need a little at a time). The reviews are mixed, but if you decide to give Marvelash a chance, do so carefully. As with any new product, take it for a test run to see if you experience any side effects. Though the applicator is great for precision, if any product gets in your eyes, you will experience burning and other potential side effects. Check the natural ingredients list for anything you may be allergic to before purchasing, as well. 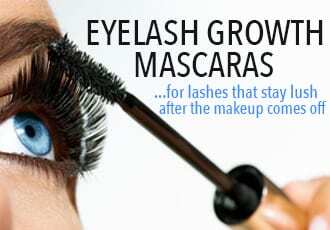 If you don’t have sensitive eyes or allergies, though, and you’re skilled with something similar to an eyeliner brush, then you may have no problems with Marvelash. 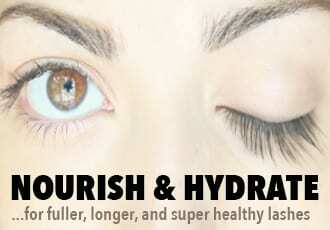 If you’re also looking to try a lash product that uses natural ingredients, then Marvelash is a contender. Just remember that natural products aren’t always guaranteed to work. It’s also hard to trust Marvelash’s claims since their 100% success rate doesn’t translate to customer experience.